Talk to our team about our range of business broadband solutions. VDSL, FTTC, FTTH and FTTP services are available nationally in OpenEir, E-net (MANs and Metro) and SIRO supported areas. We offer a range of IP transit services using BGP, Static Routes etc. These can be delivered in 4 key data centre locations in Dublin and Carlow and additionally anywhere in Ireland using our National Layer 2 Connections. We offer a wide range of national fibre based and wireless based connectivity solutions from 10Mbit/s to 10Gbit/s at competitive rates. This includes point to point, point to multi-point and internet based. Blacknight is one of the few hosting providers to have designed and built its own network, specifically to meet the needs of our customers. The core network runs on Cisco ASR 9000 series routers with multiple 10Gbps uplinks. This gives us the ability to easily cope with large traffic spikes without impacting other customers. The Blacknight Network runs a combination of IS-IS, BGP and MPLS to ensure the highest levels of reliability. The Blacknight Network is dual stacked allowing customers to utilise IPv4 and IPv6. Blacknight is a member of a number of the largest peering exchanges in Europe. Peering gives us unparalleled access to many leading ISPs. It ensures your data gets to the end user as quickly and efficiently as possible. We are members of RIPE NCC and are active members of the ISP community. The Blacknight Network uses an Intelligent Routing Platform (IRP) to ensure your data is taking the most efficient path to its destination. The IRP constantly monitors for latency and packet loss, and can route around issues automatically. Our team of network engineers continually monitors the Blacknight Network to ensure the highest levels of performance and reliability. 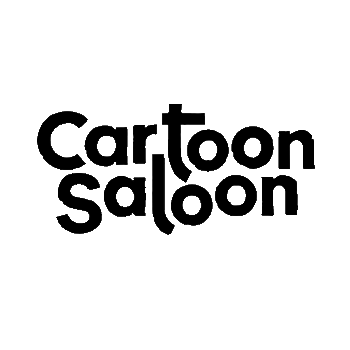 Cartoon Saloon has been nominated for three Academy Awards® and a Golden Globe®. We trade on our creativity at an international level, so fast internet connectivity lets us work with the best in the world from our base in Kilkenny. Blacknight’s high-speed network is our communications gateway, and we trust in their responsive service and support.